Every improv scene is built by the choices of each of the players and their combined choices create something new and unexpected for the audience and the players themselves. Improvisers will use terms like gifts, elevate, heighten, “Yes, And”, all defining different methods of working with your other players to create together. This level of collaboration isn’t just unique to an improv competition, but it’s also critical. Brittany put it best, “I don’t really feel like I walked into it feeling that competitive angst. I don’t know what their strengths and skills are, but they all have something to offer and help me grow, just like I have a lot to offer them.” The coaches and judges reinforced this idea during their rehearsals and the finalists found focusing on the performance was the largest contributor to their success. Out of the four finalists, Luke Biedscheid experienced things quite differently. Eliminated part way through the competition, he was relieved at the time to step away from the show. “I started getting into a state of mind where I was really unhappy with the way I performed every night. The shows started getting worse… I couldn’t trust myself in shows and if I couldn’t trust myself I couldn’t trust other people either.” Other finalists expressed some of the same difficulties with getting in their head and that having a negative effect on their performances. For Luke, the break from the show was met with a personal tragedy that reset his focus. When given the opportunity to get back onto the show with the elimination challenge, he realized, “This is a thing I love. I’m going to get back to making giggles!” That drive has brought him to the finale and has been reflected in every scene since his return. The 4 month DNIS season was a large commitment for every one of the finalists. “There were times were I’d have OTS [On The Spot] rehearsal and then run DNIS that night. The commitment wasn’t too much… once the show started and that adrenaline kicked in, didn’t matter,” said Dre. While they didn’t know how long they would be part of the show, each finalist was also part of other shows or rehearsals. Brittany’s involvement in other shows was viewed as a benefit; it gave her an opportunity to keep her skills fresh. With the sold out finale, the improvisers were sad to know the show was coming to an end, but happy to continue doing what they love. Each of them is continuing the tradition of putting on great shows through Bovine house teams (performing Monday nights and at various shows throughout the week), as well as on prime time shows such as On the Spot and unique productions such as Improv Cabaret. 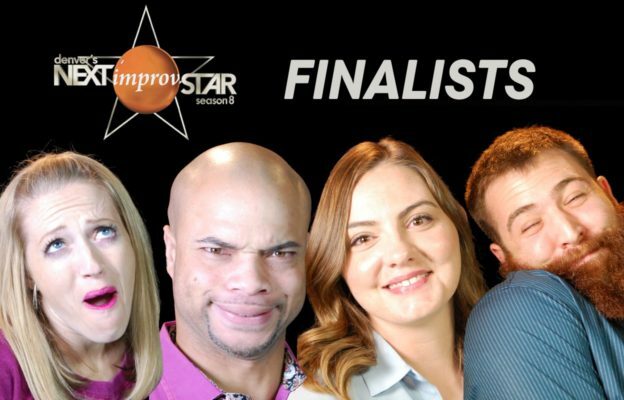 During the interviews, I asked all 4 finalists, “What do you love about each of your other improvisers?” These were their replies, using their own voices.